Not to blow your mind or anything, but the 686 Hydra Thermagraph Insulated Snowboard Jacket is so feature-rich that it seems too good to be true. Fortunately, it's not. 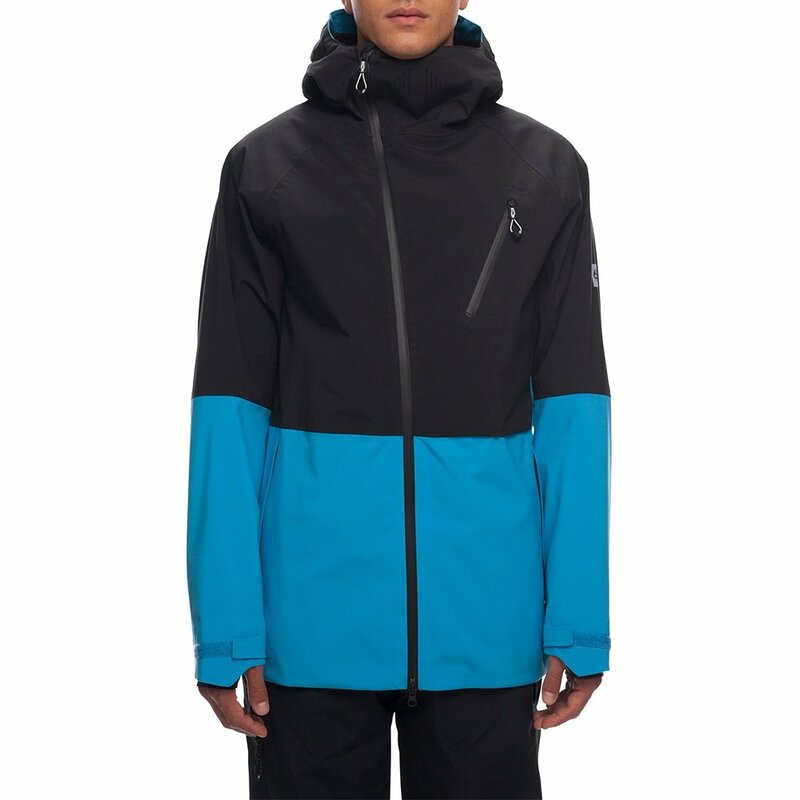 This men's snowboard jacket is ultra-warm, thanks to both a 180g Theramgraph™ mapped insulation system and a maxed out 20K waterproofing rating. That means this jacket is perfect for seriously cold-weather snowboarding in deep and heavy snowstorms. The Hydra Thermagraph Insulated Jacket includes features you'll love that are purposely designed to help this jacket be one of the most progressive and modern options on the market. An asymmetrical zipper avoids chin rubbing for all-day comfort. A 20K waterproofing keeps you dry in extremely wet and intense high-elevation storms. A loose and articulated fit is naturally curved to mirror your body positioning for constant, comfortable movement. "Thank you for contacting us. The 686 Hydra Thermagraph Insulated Snowboard Jacket is helmet compatible. We hope this information helps!"